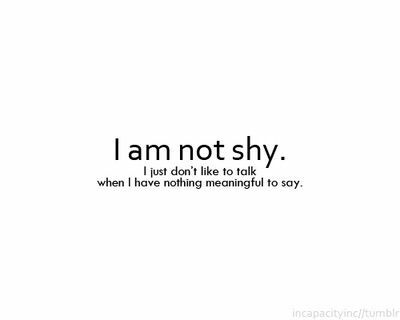 Some people think it’s shyness, other people think it’s uppity-ness or snobbery. I am just an economist of words; if I have nothing important or meaningful to say, I just don’t say anything. It makes people nervous, which makes them talk more, which I find fascinating. You learn so much about a person when you don’t talk.